Europe is known as a romantic destination. No wonder why a lot of newlyweds spend their honeymoon in Europe. If you are on the process of choosing your honeymoon destination or just want to experience how it feels like to be in a romantic country, then this article is for you. 1. Amsterdam – it is the capital of The Netherlands. It is the perfect destination for couples. Although, it is also appealing to solo and group travelers. There are a lot of tourist attractions for tourists to enjoy. The historical sites, picturesque canals, the greens, the soothing atmosphere, and the welcoming people will surely make your trip a one of a kind experience. 2. Venice – Experience the beauty of Italy by visiting Venice. It possesses that lovable Italian charm. Venice has been featured in many magazines as one of the preferred destinations of lovers. Some of the things lovers can do while in Venice is to experience the scenic canal boat rides, visit the medieval and Gothic architectures, and taste mouth-watering dishes. 3. 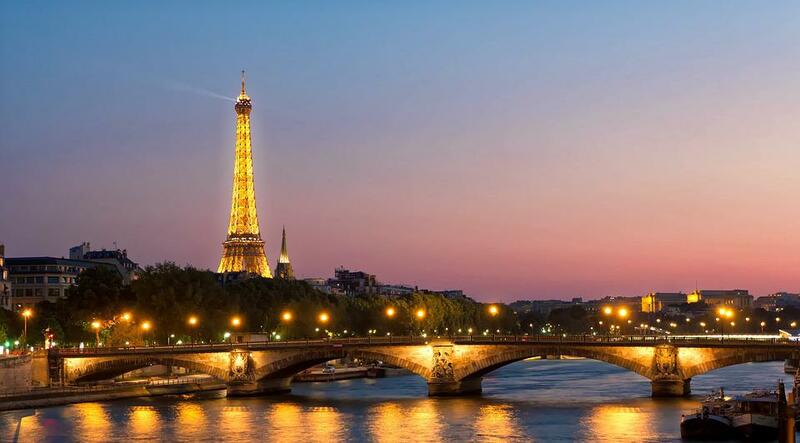 Paris – A romantic getaway in the European continent will not be complete without visiting Paris. This beautiful city is not just a fashion capital. It is also a city of romance. There is a lot to see in Paris such as the great Eiffel Tower, the heritage sites, beautiful parks, and restaurants serving mouth-watering dishes. The cost of living in Paris is more expensive compared to other cities in Europe. With thorough planning and research, you can still enjoy your romantic getaway without breaking a bank. 4. Santorini – It is one of the cities in Greece that you shouldn’t miss. It is not only a perfect destination for newlyweds, but also for love birds wanting to rekindle the fire of their marriage. The calm seas and the majestic sunset will surely calm your mind and will instantly set you in the mood for love. Not to mention, the people of Santorini are very welcoming. They make sure you have a comfortable stay and an unforgettable experience. There are hundreds of cities to visit in Europe. Each of them has a distinct curb appeal. The cities mentioned above top our list because they have a lot of great things to offer for couples. The weather, majestic view of the surrounding, historical buildings, sumptuous foods, and welcoming people will surely make your stay something that you will remember for the rest of your life. To make your travel convenient, you need to plan your trip ahead of time. Thorough planning can go a long way. You will be able to save money and make the most of your stay. There are also romantic getaway deals offered by travel companies. They prepare the itineraries and all you need to do is to book your vacation.